The triathlon world cup lands in the country of the rising sun. From Japan our ambassador Fernando Alarza tells us how the test and its state of form will be. Fernando Alarza declares himself “a lover of Japanese culture”, so it is always “a joy to come to compete in a country like Japan”. 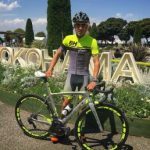 In addition, Fernando has as a long-term goal to culminate this Olympic cycle with his presence at the Tokyo Games 2020, which all adds extra motivation for the third round of the Triathlon World Series. This Saturday, the meeting is in Yokohama, where Fernando will compete for the fifth time, so he knows the special features of this test: “a peculiar circuit, a climate determined by humidity and a public delivered and very grateful throughout the race. travel”. 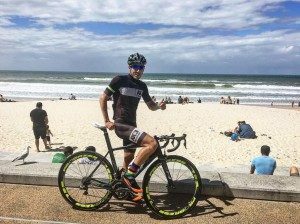 Following the Gold Coast sprint format, the Olympic distance returns with a two-lap swimming circuit, a 9-round cycling circuit and a final 4-lap walk section. “For me, Yokohama is always one of the toughest races in the World Cup due to the wet conditions in the area,” says Fernando. The profile of the circuit is quite flat and technical, which makes the starts in the bike sector are the hardest test. 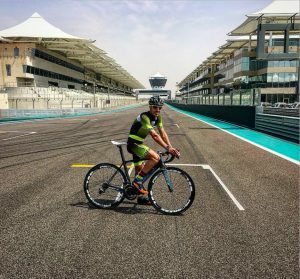 That is why, in the previous weeks, in the training plan, Fernando has worked more intensively on the bike, even disputing some races to gain consistency in this sector. Fernando competes this Saturday May 13 at 6:00 am (Spanish time). Fernando Alarza declares himself “a lover of Japanese culture”, so it is always “a joy to come to compete in a country like Japan”. 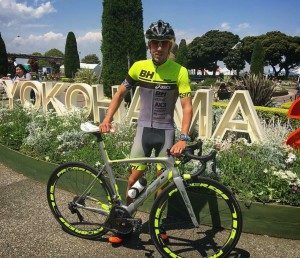 In addition, Fernando has as a long-term goal to culminate this Olympic cycle with his presence at the Tokyo 2020 Olympic Games, so all adds extra motivation for the third event of the Triathlon World Series. 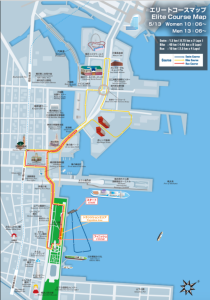 This Saturday, the meeting is in Yokohama, city where Fernando will compete for the fifth time, so he knows the special features of this race: “a peculiar circuit, a climate determined by humidity and an enthusiastic and grateful spectators along the way”. 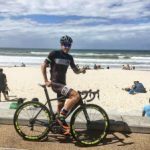 Following the Gold Coast sprint format, the olympic distance returns with a two-lap swimming circuit, a 9-round cycling circuit and a final 4-lap run section. “For me, Yokohama is always one of the toughest races in the World Cup due to the wet conditions in the area”, says Fernando. The profile of the circuit is quite flat and technical, which makes harder the race because of the dashes in the bike sector. 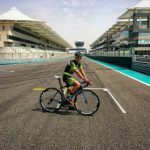 This is why, in the previous weeks, in the training plan, Fernando has worked more intensively on the bike, even disputing some races to gain consistency in this sector. 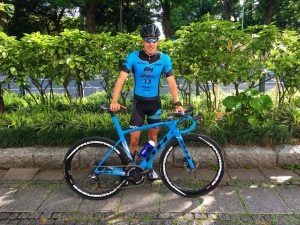 Fernando is optimistic about the race, “I am in a very good shape”, and maintains his ambition regarding the overall ITU World Series: “the objective is to continue adding points to be among the best in the World. All points are good and valuable to face the second part of the championship in the best position possible”. This time, in addition to the Spanish ‘triarmada’, one of the rivals to beat will be Jonathan Brownlee, who is of the start list in this event. Everything must be perfectly done in each sector to repeat presence on the podium, but above all -Fernando says- in the foot race, “which this year are very fast and defining”. Fernando competes this Saturday May 13 at 6:00 am (Spain time).